Wesley “Cabbage” Correira is an MMA fighter from Hilo who trains with B.J. Penn. Correira was born in Hilo, Hawaii back in 1978 and he fights in the heavyweight division. He is 6 foot 3 and he tips the scales at 260 pounds and he has fought with some really tough guys like Tim Sylvia, Andrei Arlovski and Tank Abbott. He is known for having an iron chin and is nearly impossible to knock out. He has also got really heavy hands with huge knockout power and his primary fighting style is kickboxing. Ryan Higa of Hilo, Hawaii is one of the most famous Asian Americans ever. His YouTube videos have been viewed more than 1.4 billion times. Many people wonder how he became so famous. But his secret is quite simple. He made really funny videos, posted them on YouTube and people liked them so much they began sharing them like crazy and his videos went viral. Here is one of Ryan Higa’s funniest videos, “Daily Life of NinjaHinja”. Is it his funniest video, you be the judge, but it has gotten more than 16 million views on YouTube, so you know that somebody likes it. Credit Cars Hawaii is located in Hilo and has a large selection of small used cars at great prices. In fact, the highest priced car on their auto lot at the moment is less than $9,000. They specialize in affordable cars and do most of their financing in house and they are willing to finance almost anyone’s car purchase. There you will find their latest inventory of used cars. Typically, Credit Cars will usually have about fifty cars in their dealership ready for you to test drive. Credit Cars is open every day except for Sunday and has a good deal of hours that they can help you find the used car that you are looking for. And if their extensive business hours are not enough, you can even make an appointment to test drive a car after hours on weekdays. Blue Hawaiian Helicopters offers one helicopter tour out of Hilo, but provides a choice of two different types of helicopters. This Blue Hawaiian tour departs from Hilo Airport and takes you on a 50 minute helicopter adventure to see volcanic activity at the Hawaii Volcanoes National Park and the dazzling waterfalls of Hilo. You will see the most geologically active region of Hawaii and perhaps the world in Kilauea which has been erupting from 1983. You will see lush rain forests, devastating lava flows, crashing waterfalls and even learn about Hawaii’s culture and history. If you have the budget, spend a little more and take their Eco-Star helicopter as it gives you a better view, 180 degree view of all that Hawaii has to offer. Blue Hawaiian was started by Patti Chevalier, her brother and her husband back in 1985 with a single 4 seat helicopter. Her husband flew the tours, while she and her brother handled the business. 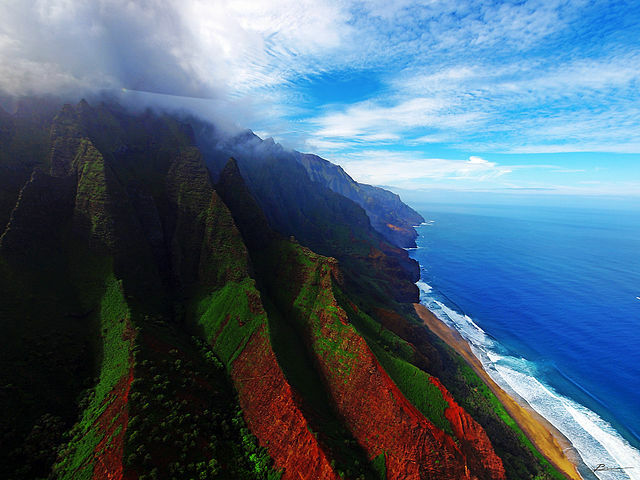 Over the years their company has grown and now they operate tours in four locations: Maui, Kauai, Hilo and Waikoloa. Roseanne Barr wasn’t born in Hilo, Hawaii, but she lives in Hawaii now. Roseanne lives on a macadamia nut farm outside of Hilo, in Honoka’a, and is quoted as saying that she always knew that she would end of living on a nut farm. She even starred in a short lived reality show called “Roseanne’s Nuts” which was set on her farm, which is located on the Hamakua region outside of Hilo. Rosanne bought the Hidden Hamakua Farm back in 2007 for a grand total of $1.8 million, sight unseen. (I guess $1.8 million is pocket change to her.) The farm consists of 46 acres of macadamia nut trees and a 2,200 square foot house. Roseanne’s show consisted of episodes depicting life on her Hamakua macnut farm. As you can imagine having Roseanne as a farmer, instead of a comedienne can lead to funny situations. Especially when she let’s her friend Greg live on her farm in a tent.